I read this article and found it very interesting, thought it might be something for you. 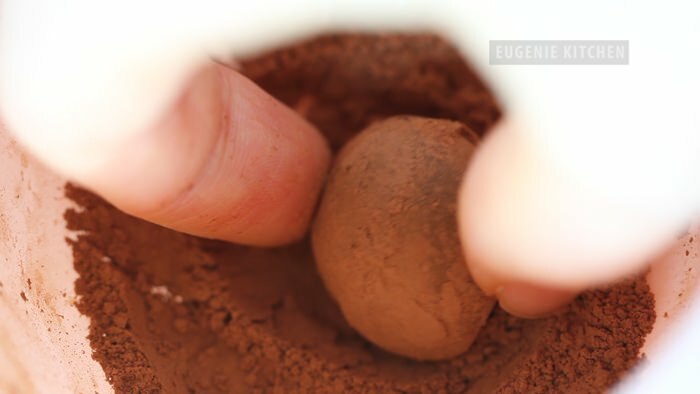 The article is called 5-Ingredient Chocolate Truffle Recipe and is located at http://eugeniekitchen.com/chocolate-truffle/. French chocolate truffle with orange cognac “Cointreau” takes only 5 ingredients. 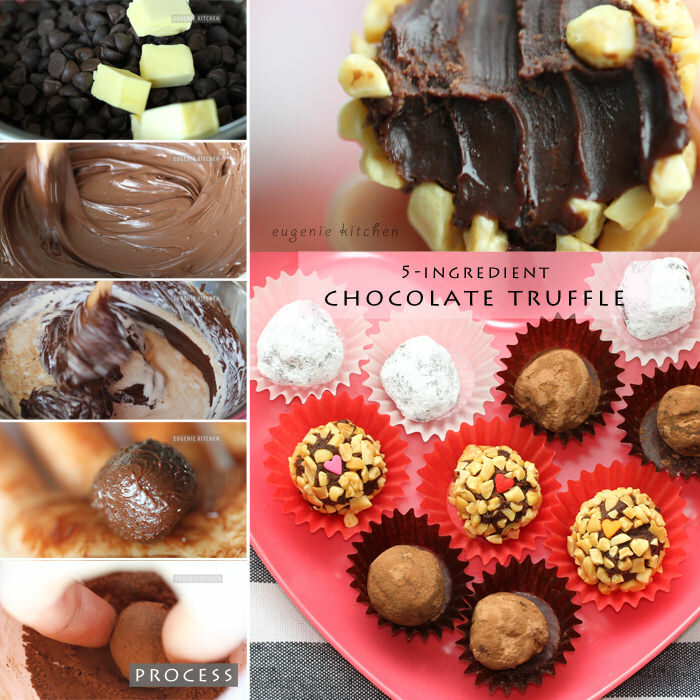 This no-bake homemade truffle recipe is perfect for Valentine’s Day gift. If you prefer using microwave oven, you can also melt all the ingredients in microwave to make ganache. Optional: confectioners’ sugar, various chopped nuts, and confetti for decoration. First, over bain-marie, add in 9 oz of dark chocolate and 2 tablespoons of unsalted butter. And melt stirring occasionally. 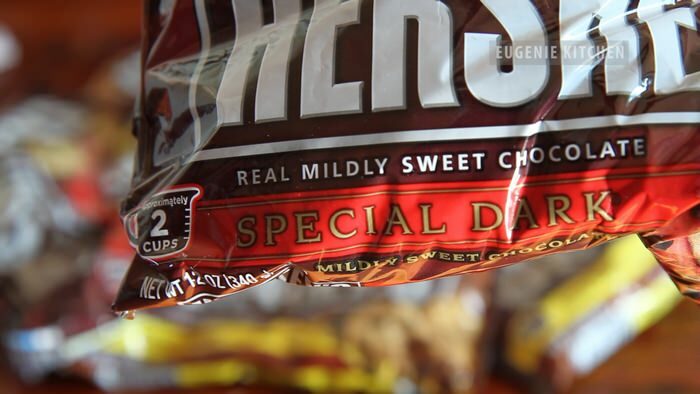 Today I’m using Hershey’s special dark chocolate. 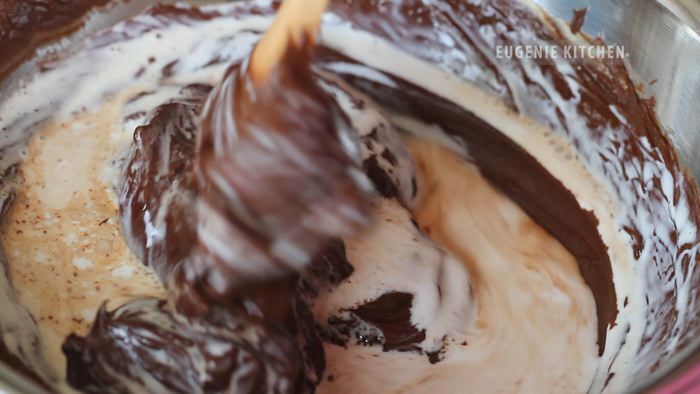 Don’t cook the chocolate, the mixture should be smooth and silky. Out of heat add in 1/2 cup of hot whipping cream and stir until homogeneous. Normally to make ganache, melt chocolate with simmering cream but today I am doing differently because the amount of cream is not sufficient for the whole chocolate. Then stir in 1 tablespoon of Cointreau or Grand Marnier (French orange cognac). Do you know? Cointreau owns Le Cordon Bleu Paris. Now let cool in the refrigerator at least 2 hours, or until chilled. 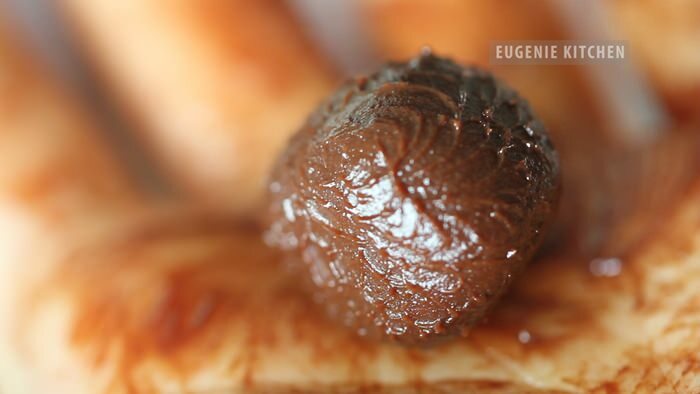 Out of fridge, make a ball with a teaspoonful of ganache. If you don’t want mess, use plastic or rubber globes. Then roll in unsweetened cocoa powder. 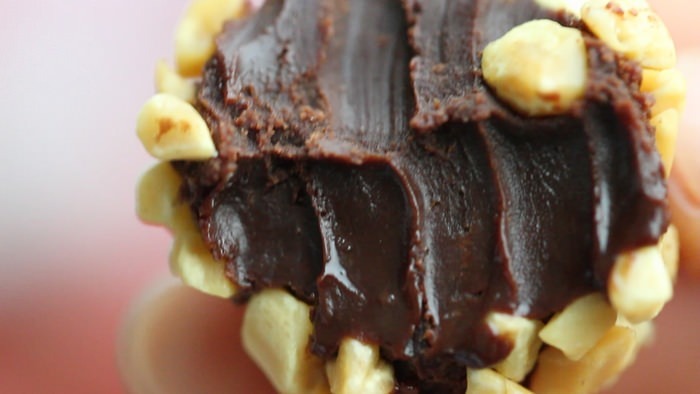 This is the basic 5-ingredient chocolate truffle. 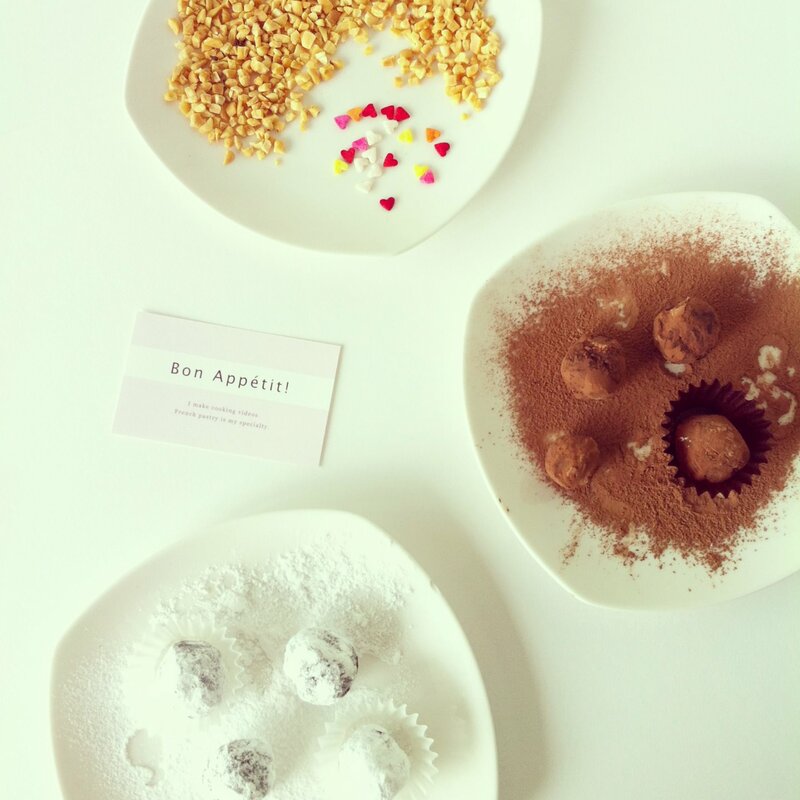 And you can also roll the truffle in confectioners’ sugar. Or your choice of chopped nuts. This is Valentine’s special, so I will use heart shaped confetti. 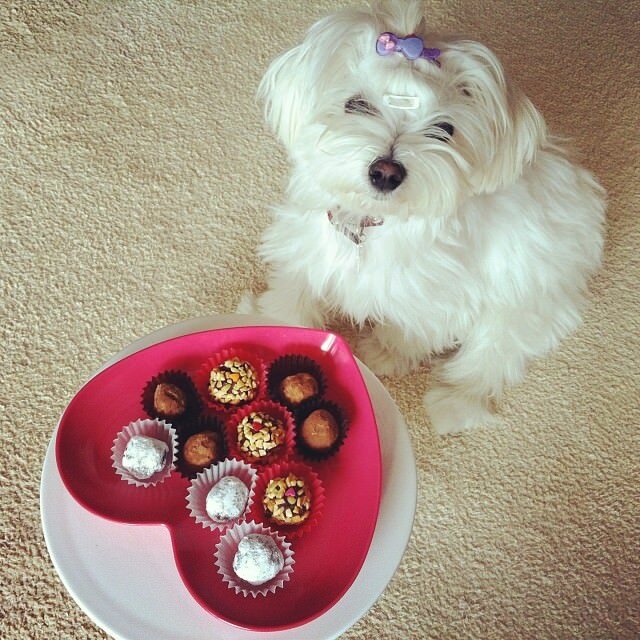 Voila, French chocolate truffle. It was easy to make, wasn’t it? Bon appetit. I love rich and luxurious chocolate truffle. 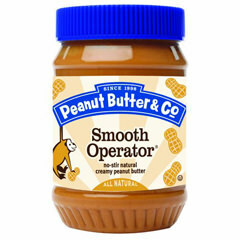 This will make perfect Valentine’s Day gift. Thank you for watching. Bye! If you use dark chocolate with 70% cocoa, you might want to add additional sugar. 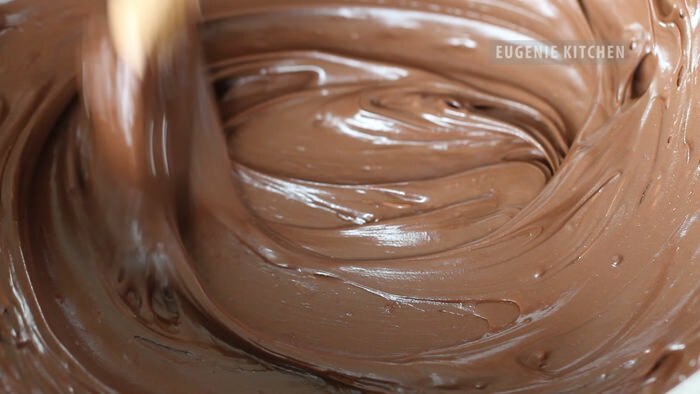 [ Microwave cooking ] Melt all the ingredients in the microwave to make ganache. 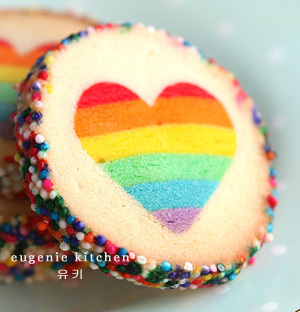 I’m going to be making this soon!! I hope you dont mind me sharing your recipe with others as well!! !